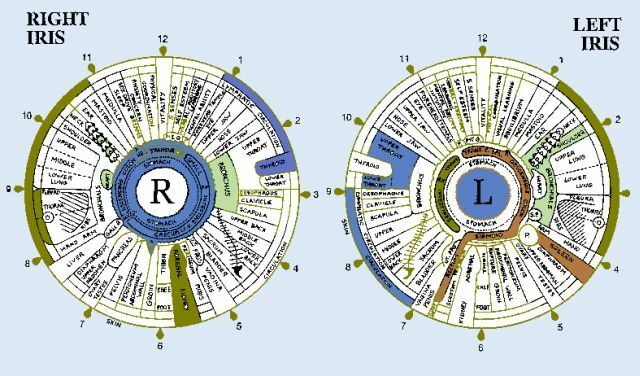 I believe it should be easily scientifically possible to test the validity of iridology using today’s sophisticated pattern recognition algorithms and big data on human health. If the patterns of irises can be proven to be reliable and direct indicators of health, then build a preventative healthcare business model around a photo plugin app that scans irises in everyday photos looking for patterns related to potential health risks, tracking your health over time, and notifying users when they’re at risk. Other health data could also be mashed up with this including DNA data from 23andme, blood test data, etc. The results of the study should be published, hopefully through a medical channel. If the results show iridology is valid, then hopefully more research will go into this, which may open the door to investigating the validity of other alternative health pseudosciences. If the results show iridology is not valid, then hopefully more research from others will confirm these results, which may save people from wasting their money on the advice of iridologists. A problem with these alternative health pseudosciences is that the people who practice them are often “flaky” individuals who have an aversion to “real” science. Most scientists don’t want to associate with these flaky people and their work, so they avoid researching it. Until more recently, the cost and effort to research the validity of such alternative health practices has been high, providing another disincentive to examine it seriously. But now we live in a world of big data with cheap processing, and so it seems to me that these kinds of scientific investigations could technically be done with few resources.